Many of us simply write down those notes in a notebook but when you have to create a long or complicated shot, you may usually lost or ignore some data on the way. 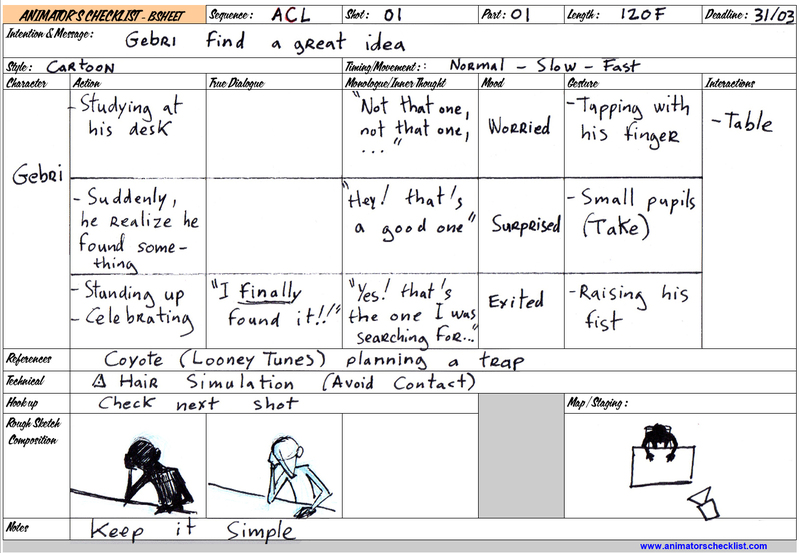 That's why, I decided to create a planning sheet to gather all this information in one place. Once all this information writen down, I can move on to the exploration phase. 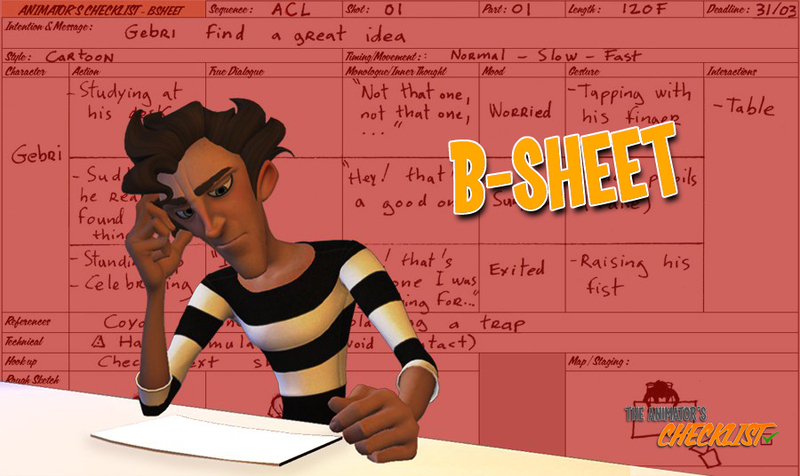 To do so, I have another tool that simplifies my life : the X-SHEET. ← Previous Previous post: OBSERVATION or How to read a reference video? Next → Next post: X-SHEET or The tool I use to plan my shot?